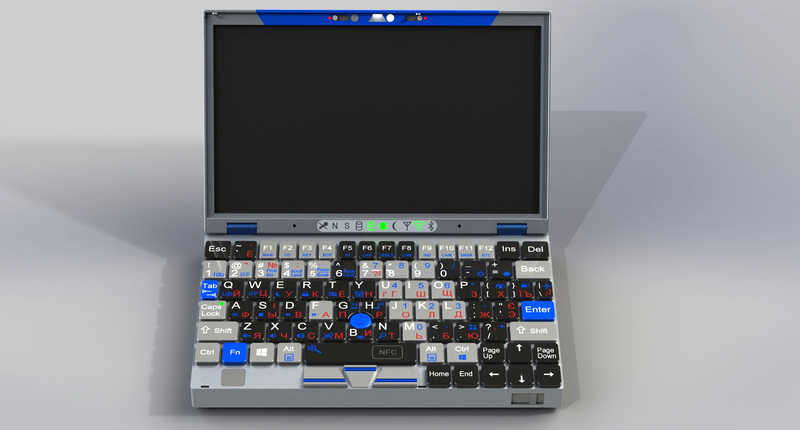 Sukhe's plan for an "adminbook" is an audacious, well-developed plan for a laptop tailored to the needs of network administrators: small, intended for use in dark, cramped places, convertible into an external drive or display for headless systems or those needing their ROMs flashed, multilingual, with many options for I/O and power. It's also the kind of heroically ugly device that you get when functionalism is the sole consideration. Notwithstanding Don Norman's important thoughts on the importance of aesthetics to function, I flat-out love this thing. It's pretty much everything I loved about Thinkpads, and which Thinkpads have been steadily whittling away for a half-decade (my latest machine, a sixth-generation X1, is such a lemon that I'm actually on the verge of throwing it away, and if it wasn't for my allegiance to trackpoints I'd be considering one of those Linux-certified Dells). These are just renders; and Sukhe says that all the components fit -- in theory. But there's a lot of potential engineering snags on the road from render to production. Still, if these ever get crowdfunded, consider me an early backer.